Baker Dunleavy returned to Villanova on Saturday night, and although his team won the opening tipoff, it struggled the rest of the way. The defending national champion Villanova Wildcats beat the Quinnipiac Bobcats 86-53 as Quinnipiac lost its opening game of the 2018-19 season. The game went into a 20-minute delay because the shot clock did not work. 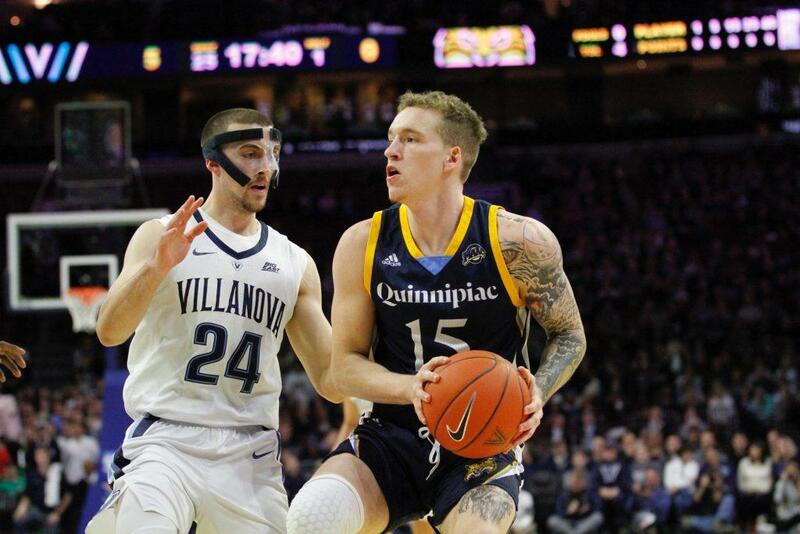 Sophomore point guard Rich Kelly burst onto the scene for Quinnipiac last season but he suffered an MCL sprain and had to miss the game against Villanova. Freshman guard Savion Lewis should have started, but the team announced Saturday morning that Lewis would sit out this season and opt for an academic red-shirt. Without Lewis and Kelly, freshman Tyrese Williams got the start against Villanova. He finished with five points and six rebounds. Williams had to go up against a challenging Villanova defense who pressed from the start of the game and consistently put pressure on the inexperienced guard. Williams turned the ball over four times in the game but he also showed his promise with an NBA-range three to score his first points as a Bobcat. Although Kelly did not play in the game, he still sat on the bench and helped coach Williams and other players throughout the game. Although Quinnipiac did struggle against Villanova, there were a few players who showed how they will be able to contribute to Quinnipiac’s success this season. Cam Young could not get any playing time under former Quinnipiac head coach Tom Moore when he transferred from the junior college level, but he thrived under Baker Dunleavy last season. The NCAA granted Young another year of eligibility and he scored 18 points for the Bobcats to lead the team. Travis Atson transferred from Tulsa and as a result he had to sit out last season due to transfer rules. While practicing at the beginning of last season, Atson tore his ACL, but he showed what a solid player he will be for the Bobcats on Saturday as he finished with 11 points on 4-6 shooting from the field. Villanova challenged Quinnipiac throughout the game with its length, athleticism and skill but Quinnipiac did not let up, a sign that Dunleavy’s teachings are resonating with his players. Dunleavy is always preaching attitude and controlling what can be controlled. The Bobcats needed to stay positive against a tough opponent like the Wildcats. “At the end of the day, we need to keep our heads up and staying together no matter what a team does against us,” Quinnipiac senior forward Abdulai Bundu said. Dunleavy told his team that Villanova has an established culture and that Quinnipiac is trying to build one of its own. Quinnipiac will return to Lender Court for its first home game of the season on Thursday night as the Bobcats hosts the Hartford Hawks at 7 p.m.